Ok, ok, I know it’s not Thanksgiving yet. But if you want to have your Christmas decor out come the day after Thanksgiving, you have to get working on all the DIY stuff now. Plus, we have one week less between Thanksgiving and Christmas than usual, right? 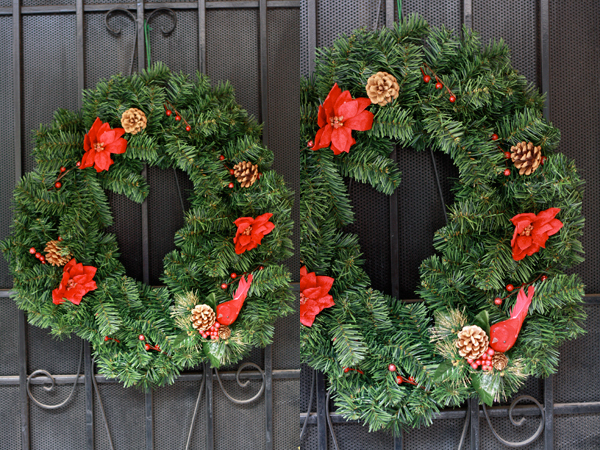 Anyway, here is how I made a super simple and cheap wreath for our front door (which I haven’t actually hung yet, by the way…just for these photos). 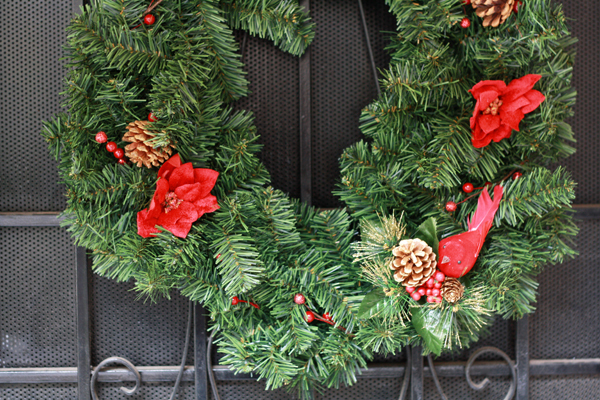 What you’ll need: an artificial wreath and embellishments i.e. 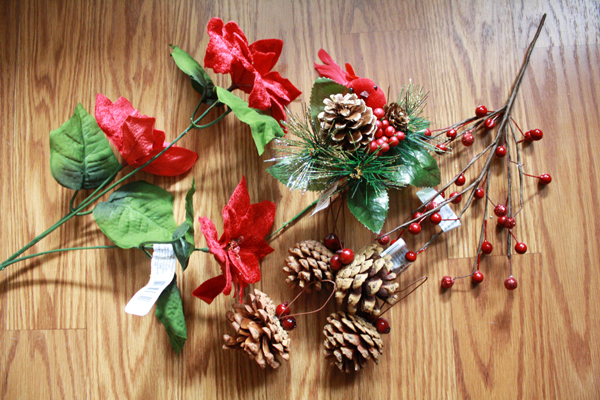 fake poinsettias, cranberries, pine cones, and a little bird. Not shown: wire cutters. The great thing about this project is you can customize it however you want. 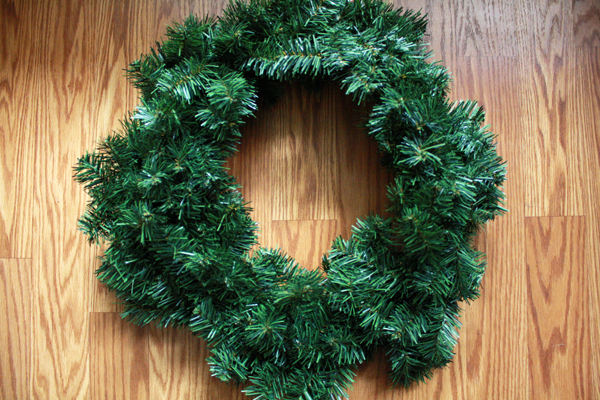 You can make this wreath as simple or as extravagant as you’d like. I most always follow the rule of never buying anything full price at Michael’s. They are always running weekly specials and offer coupons online. I was able to make this entire wreath for about $10. All you have to do is take your embellishments (divide/cut them up using the wire cutters) and bend their “stems” around a branch or two to secure in place. I didn’t use glue or anything else on this, but you do have to make sure you secure the embellishments tightly. And ta-da! You’re done. Super simple. I didn’t want my wreath to be as extravagant as some of the pre-made ones at the store, so I didn’t add too much. But you could also add a big bow or a little chalkboard sign with your family’s name on it…whatever your heart desires. Since I haven’t hung this wreath up yet, I’ve kept it indoors; and yes, Kipling thinks this bird is real too.